The surgery formed a Patient Participation Group in September 2011 which it anticipates will bring a sense of partnership between the Practice and its patients. A good interface is essential in identifying areas for improvement and it is hoped that forming the group will aid communication. The Group will be tasked with collecting patient opinions and experiences in the form of a survey. This will help the Practice evaluate its services and the results will be published in the first quarter of the New Year. All registered patients are welcome to contribute to the Patient Participation Group but in the interest of effective decision-making membership of the Committee has been limited. Initially six patients, who are representative of the Practice population, have been approached and they will be joined by Dr Paul Cook and Mrs Dawn Jonathan, Practice Manager. The Group will meet about four times a year. You will see that the Committee members can be viewed on the next tab in this section of the website, meeting dates, agendas and minutes are filed in the third section and the last section gives patients the facility to send constructive feedback or suggestions to the Surgery. Please type your message in the box, fill in the personal details, tick the consent box if you wish us to reply to your message and click send. We are looking forward to hearing your views. Geoff is a local chap who grew up in Carnon Downs and now lives in Devoran. 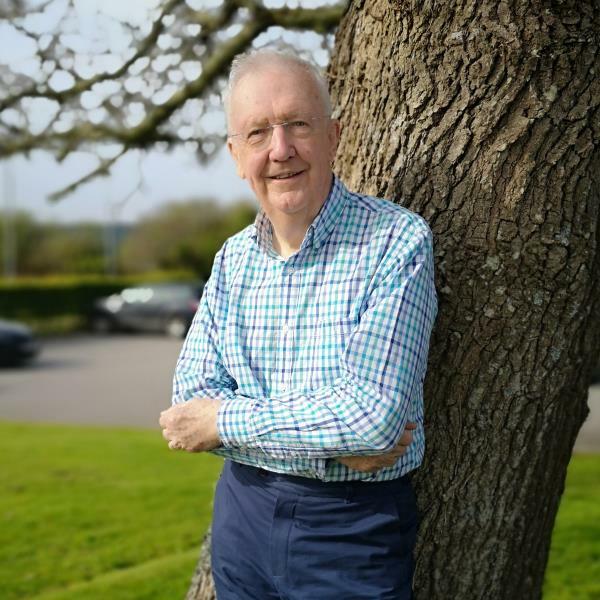 He retired five years ago from his position of Director of Education for Cornwall, prior to which he had worked at just about every level in education including teaching and headship. Geoff also appreciates how important a good health service is to every one of us - whatever age we might be. Through his work Geoff has had regular contact with various NHS teams and knows from experience how varied, and sometimes inconsistent, delivery can be. Luckily, until recently, after a lifetime of needing little contact with the Practice, Geoff says he now finds himself a regular customer, both of the surgery and hospitals. He admits he did not realize how important every part of the practice work was, particularly the front of house team, until he came to need it. Geoff says "I believe that we are very fortunate in the care we receive from our Practice, but I am aware that things don't always go right and there is always room for improvement. That is why I welcome this Patient Participation Group initiative and admire the courage and the professionalism of our Practice staff that they are prepared to open themselves to our involvement in their efforts to make things even better." Geoff hopes, by joining the Patient Participation Group, he can give back a bit of what he receives from the Practice. The members are representative of the patient profile in age, gender, health and social circumstance. However, the Group is only representative and can only bring to the meetings the knowledge they have. Geoff invites the wider Practice population to contact the Group with their ideas for change and improvement and experiences of what does and does not work for patients. The Group is unable to become involved in individual patient experience or comment on it but it will be possible to discuss the structures and systems which affect the way treatment is received. For example, the way the dispensary operates, making appointments, telephone contact, issues concerned with hospital appointments, privacy, issues associated with specific age groups, improvements to the waiting room - music or no music ! - all those things that make a difference to the experience we have in using the Carnon Downs Surgery. Most important perhaps is to let the Group know of those things which work best for you, the strengths to build on or a positive experience at another Practice. Judith was born in Manchester and came to Cornwall to complete her Nursing training at Truro City Infirmary at the age of 18. She is married with two grown up children, 3 grandchildren aged between 4 and 15 years, with another due in the Autumn of 2013. On completing her training she worked full time at Falmouth Hospital in Casualty, which back then was very busy with a surgical, medical, children's ward, dermatology clinic and an operating theatre. In 1970 she left to start her family and returned again 8 years later to work two twelve hour night shifts each week. The family left Cornwall in the early 80's and moved to Northampton where Judith worked at Northampton General Hospital. On her return to Cornwall she worked at the Duchy Hospital where she remained for 20 years until her retirement 3 years ago. She now keeps herself busy as Vice Chair of Truro Cornwall Hospice Committee, mainly with fund raising activities. Although Cornish only by marriage, Hilary has had a long association with Cornwall and happily relocated here permanently in 2008 after a career in primary education in Devon, latterly as a headteacher and adviser to school governors. She has three grown-up children and three young granddaughters so she pretends to enjoy building sandcastles, but she really loves visiting Cornish gardens. She appreciates the benefits of pilates classes and walking in this beautiful area as well as exploring farther afield. Hilary has many reasons to be grateful to staff at Carnon Downs Surgery for excellent care both of herself and her late husband and believes that by serving on the PPG she can support as well as challenge the practice as it strives to maintain consistently high standards in a fast-changing world. Alison was brought up in Perranwell and later moved into Truro. She was first a patient with the practice when it was based at the Wharf in Perranwell. She then moved to Sussex, got married and worked there and had two children who are now grown up. The family returned to live in the village in 2008. Alison works in the Civil Service locally and sees her role on the PPG as similar to a School Governor/Critical Friend - supportive, encouraging but able to challenge or query from the patients perspective. Jodie will be 16 this October and is currently studying for GCSE's at Paenair School and she hopes to continue studying with A levels at Truro College. she really enjoys playing netball and she has an interest in art and photography. She also completed her bronze Duke of Edinburgh award recently and is now undertaking her silver. Nigel has lived in Cornwall since 2009 when he retired from working in the City of London. He has 3 grown up children and 5 grandchildren. After initially living in Carnon Downs itself, he has now moved over towards Burncoose Nursery. He has a life-long interest in the National Health Service and the provision, organisation and financing of health care. He is a member of NHS Kernow’s Citizens Advisory Panel (now part of “Shaping our Future”) and various other health related bodies. Nigel’s wife, Jane, retired in 2015 from her role as a Consultant Psychiatrist with Cornwall Foundation Trust, specialising in Learning Disabilities but continues to work in that field in various capacities. The Patient Participation Group Meetings are listed below, please click on the link to read the minutes from each meeting. During our Influenza Vaccination Campaign the committee came to the surgery and spoke with our patients who were attending the flu clinics, physio appointments or patients who were coming in on a weekend to collect their medication. Patients were asked to complete the Family and Friends Test and mention any problems that they felt were important to be passed onto the GP's, management or staff. The committee also collected an excellent amount of mobile phone numbers for our new 'Text Appointment Reminder' service plus a good number of patients registered for our online prescription ordering service too. We are always trying to improve all aspects of the service here at Carnon Downs Surgery and below we have listed some of the excellent comments we received. In fact out of the 140 questionnaires completed all were positive except for one which said 'Generally good but room for improvement'. The patient was Male and between the age of 76 - 85 as listed on the form, so if that patient is you please get in contact with Sally Rickard our Practice Manager as we are always keen to address any issues you may have as a patient. The Chairman and the committee were very keen that we passed on their thanks to all the patients that completed the forms and spent time talking to them throughout the morning. Every dealing my husband and I have had with the surgery so far (we are fairly new patients) has been excellent. Everyone is so caring and friendly. In the 11 years I have been a patient of this surgery I have always received wonderful care from everyone, from doctor to receptionist. I am about to move to Bristol, so my grateful thanks to you all. You won't be bettered, unfortunately. We are privileged to have such a good surgery to help us. Everyone at this surgery is a shining example of general practice in action! We have always found the doctors and staff to be extremely caring and professional. Nothing is too much trouble. A very well run and happy surgery. Thank you.